At the beginning of 2017, the population on Earth is about 7.5 billion people. That number is so impressive that we can hardly imagine so many people at once. We at WeGoRo aren’t afraid of challenges. This is why we decided to find out what it would look like if all the people of the world moved into one city. Today, 50.5% of the world’s population lives in cities, so first we would have to convince the other 49.5% to leave the countryside. And only after that should we try to decide on which continent or island we would like to live. The area that we would take depends on population density. This is what our city would look like, based on real-life examples. The spaciousness of Reykjavik is a luxury for big cities. Under these circumstances, the settlement for all mankind would become immense. Canadian Quebec would give us the most comfortable conditions. Chicago would look more like a modern megapolis, but things could get even more crowded. Nowadays Singapore is one of the world’s most densely populated countries, despite its modest size — 719 km². The city would look absolutely urban and extremely modern. Manhattan is another real-life example of the proper use of each meter of land. Such a density would enable us to settle on islands with a highly limited area. Manila is believed to be the world’s most populous city with an area of only 38.55 km². Such a construction would allow us to reduce the territory even more, but the landscape would be likely to raise serious doubts in potential residents. For the moment, the slums of Dhavari in Mumbai, India, are an example of the largest number of people per km² throughout the world. But despite the relatively small size of our city, it’s unlikely such close proximity would please its inhabitants. 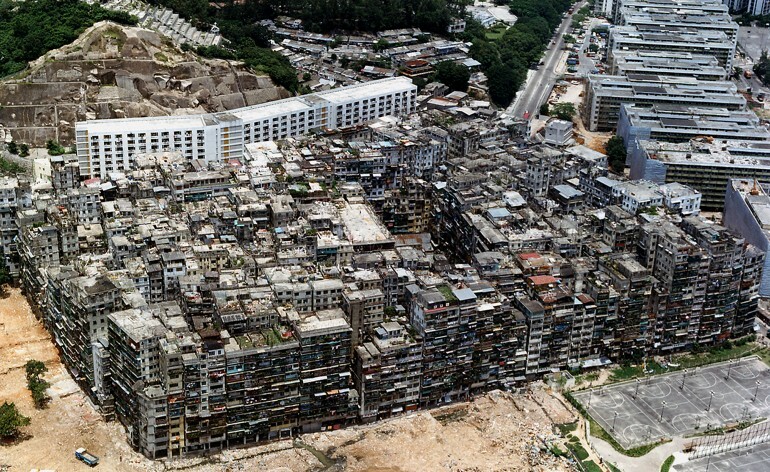 And finally, the most populous area ever is the fortress city of Kowloon in Hong Kong. In such circumstances, mankind would be able to live in an area of 5,891 km², which can be compared with the current size of Palestine. Just imagine the whole world in a huge metropolis! Would you like to stay in one of these cities, and why? Share in the comments!